Somewhere along the line, Fox realized that Fox Sports 1 can’t (and maybe shouldn’t) compete with ESPN at its own game, and instead decided to court that silent-but-significant minority of sports fans: reactionary, regressive, and crypto- and not-so-crypto-racist. For a hundred years or more, this was the group sports media catered to nearly exclusively, but the rise of the internet and society’s progressive swing left them an underserved market. Fox Sports is here to give them what they crave, no matter how transparently goading, and it’d be a pretty good business strategy—if anyone were watching. They’re not. 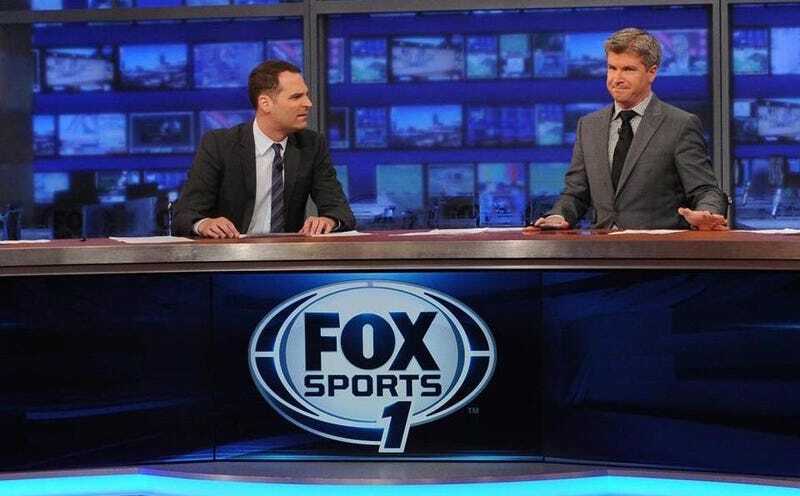 One of the major casualties of both the move toward sports-shouting and the moribund TV ratings is Fox Sports Live, originally a flagship program and the network’s answer to SportsCenter. The show, hosted by Jay Onrait and Dan O’Toole (affable Canadians, stars on TSN’s SportsCentre before becoming two of Fox’s most anticipated hires, and generally beloved by everyone), is being blown up and reconstituted as, well...we don’t know yet. Whatever it is, it’ll be a wholly different type of program, and step one is apparently to lay a bunch of people off. O’Toole took to Twitter last night with an uncharacteristically biting series of remarks aimed at his employers and their business decisions. O’Toole sounds intensely bitter, which is completely understandable. But again, he’s Canadian, so there’s a chance this might just be dry sarcasm overlaid upon genuinely intense bitterness.